The Smith and Wesson Baby S.W.A.T. 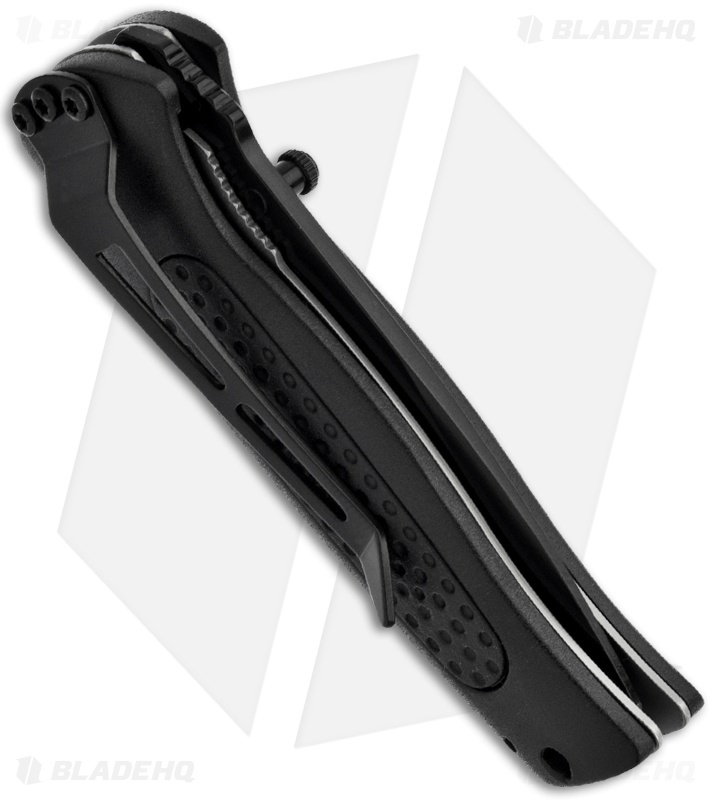 is a compact little folder and a great price for this quality piece. At less than six inches they are very pocket friendly and take up almost no room. 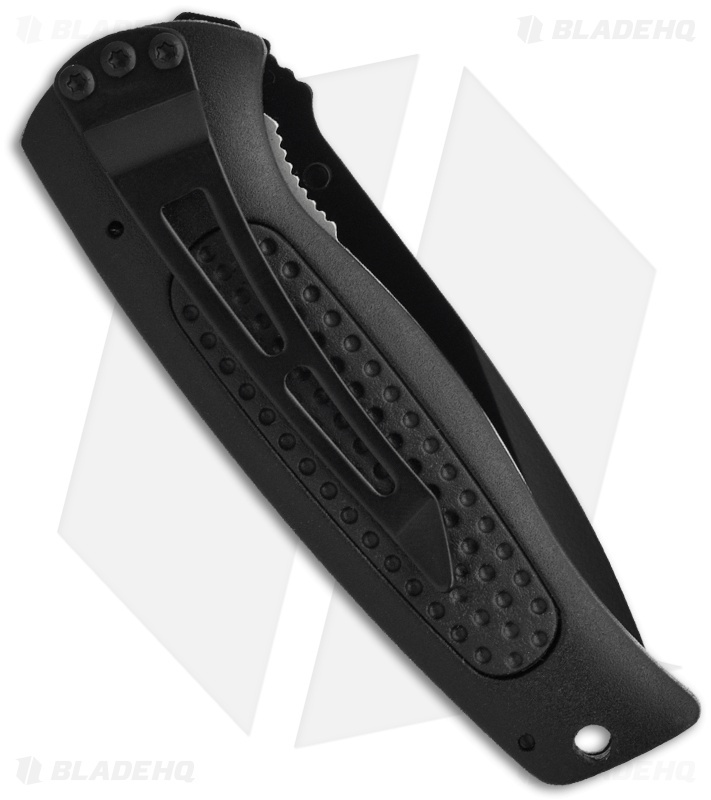 The Baby SWAT is a manual folder knife, just use the thumb stud to deply. 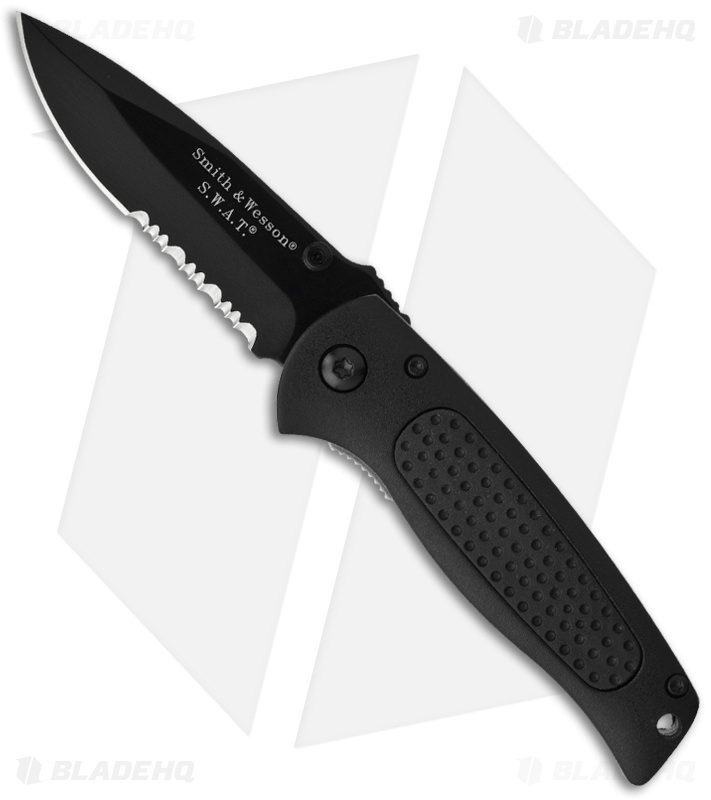 Features a drop-point 440 blade (serrated) and black aluminum handles with Kraton inserts (front & back) for better grip. Blade locks up solid via the liner-lock. Includes pocket clip for easy carry (tip down). Please Note: This is the manual version, not automatic.